If you're like me, you don't see many guitars you wouldn't want to own. And even if you're the type of person who mostly just plays guitar in order to enjoy himself, you never stop lusting after more guitars. You may feel like you've never really lived an amateur guitarist's proper life if you've never got to own a Les Paul. There are a lot of Les Paul like guitars out there. But nothing but a Les Paul is ever really a Les Paul. It's like Gibson has some secret formula or ritual they do. There is magic within the Les Paul. Strong magic. What's a poor boy to do? Compromise, of course. You can certainly get a quality Les Paul for under a thousand dollars. A new one too. 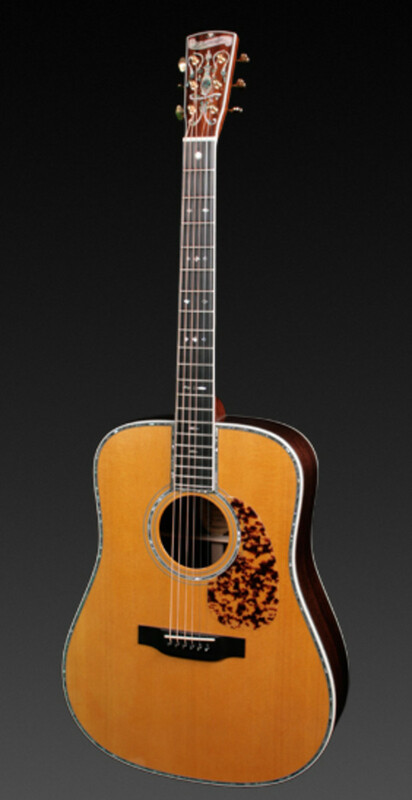 You can even get one that says Gibson on it for under a grand. You only have to be willing to compromise on some features. If you're honest about it, most of the visually appealing things on the high end Gibson Les Paul guitars are not going to make you a better guitarist. They're probably there to serve to make you look wealthy. Status symbols.Thing is, you don't make music better or worse for the figured maple top and fancy finish. Those things only serve for beauty. Body binding and neck binding? Abalone inlay all over the fingerboard and headstock? Those things require large amounts of man hours spent working to incorporate them within a guitar. They also only truly serve for visual appeal, so they won't make you sound better or your guitar play better. Have you ever considered how having coil splitting circuitry in a guitar is over rated? Oh sure, it's a nice little feature. Playing with too many gadgets can literally compromise your playing skills. 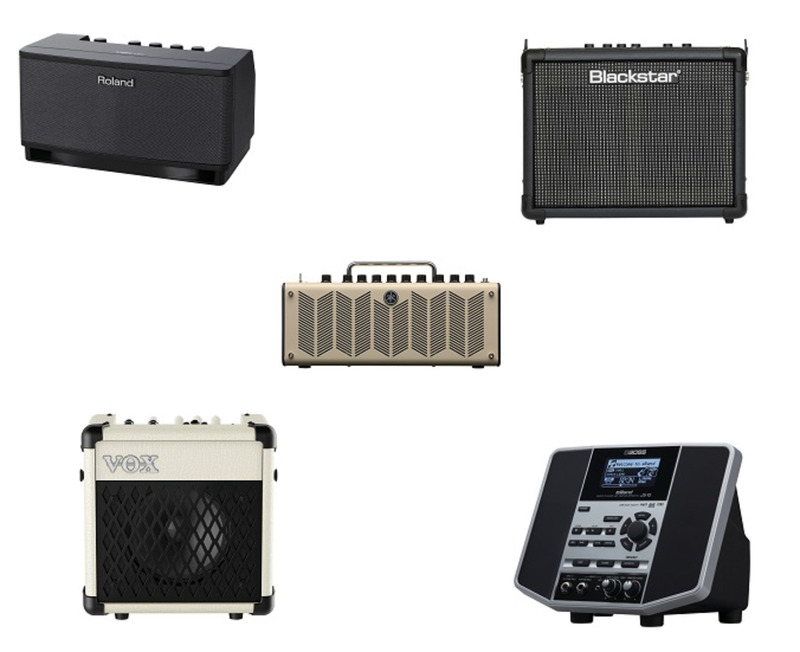 Go minimalist and learn to out play the guys with the thousand pedals and fancy circuitry. For a thousand dollars and even less a body can still get a very professional level guitar. Even one from a manufacturer as prestigious as Gibson. You won't get a hard shell case with one of these Gibson Les Pauls, but you will have a guitar which retains more resale value than others simply because of the brand loyalty and recognition Gibson inspires all across the world. There is nothing fancy about the Gibson Les Paul CM. What there is is beautiful minimalist utilitarian simplicity which can be used to make all manner of music. These guitars were born in 2015, but hopefully the idea is here to stay. You may have one of these in any color you like, just so long as you like black. And black is a power color. This guitar provides some powerful value for not so many bucks. 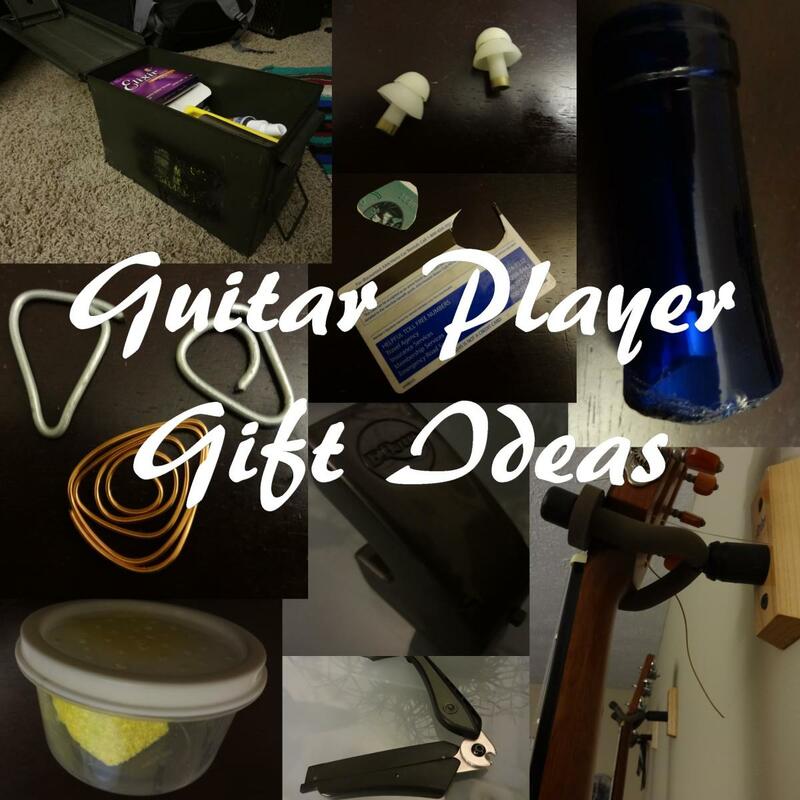 You get exactly one pickup, a humbucking PAF, one volume and one tone control knob. And very seriously, using that volume and tone control can get you a lot of different tonal character. With a minimalist guitar you really get more opportunity to learn to manipulate sound with your hands. The bridge and saddle here are the same thing. The wraparound bridge is what it is known as. These are old school, retro cool hardware. If you can't play it and make it sound good on one of these guitars then a nine thousand dollar 1959 reissue won't help you. This guitar comes with a gig bag. The Gibson gig bags are very good. They've some thick foam insulation for protection. The faded black of this guitar serves to make it look old while being brand new. Having custom made 'relic' guitars is pretty fashionable these days. But as it is also almost entirely black it carries a metal and punk sort of vibe. And really, bashing out high energy punk rock power chords on this thing would be very cool. This guitar is no beginner's guitar, but then again it is priced like one. This guitar is essentially all you'll ever need in an electric guitar. So there is no neck position pickup, well, if you adjust your tone control you can make the tone much warmer in order to simulate a neck pickup sound. I'm very seriously considering the purchase of one of these. I've owned Gibson guitars before, but I've never owned a Les Paul. Silkscreen: Gold "Gibson" and "Les Paul Model"
The Gibson Les Paul Custom Studio is a guitar unlike the others here in that it is of a swamp ash wood body. Swamp ash is one of the preferred tonewoods used on most especially the Fender Telecaster, but also on Stratocaster guitars. Swamp ash is certainly not a traditional material for the Gibson Les Paul. But lovers of fine guitars should be joyous over its inclusion in the Gibson Les Paul line. Swamp Ash is a southern wood. It is lighter and less dense than northern ash. When you think of swamp ash you think of classic Fender guitars from the 50s, and their legendary twangy sound. So the combination of a swamp ash body and Gibson's humbucker pickups is going to be different, and exciting. So far as controls go this is a bare essentials guitar. You get just one tone control and one volume control. The pickup selector switch is positioned in a non traditional location for a Les Paul. The two humbuckers here are double slugs. A break from tradition seems to be what this guitar is mostly about. The Gibson Les Paul is not traditionally a swamp ash body. And neither does the Les Paul traditionally have a maple neck. But this one does. Maple necks are traditionally paired with swamp ash bodies. This guitar is a real hybrid of Fender and Gibson ideas. This all new for 2017 Les Paul costs $899 dollars. For under a thousand bucks you aren't going to get a hard shell case from Gibson. Again, this isn't a problem as the gig bag provides good protection. You can always buy a case later. This instrument is still so new there aren't any videos for me to provide. I'll update this as soon as one is available. This guitar will certainly have something different in tonality to offer the audiophile. 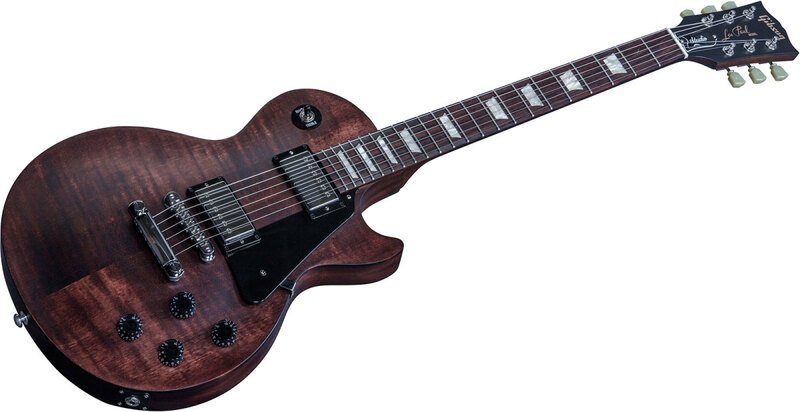 New this year we have the Gibson 2017 Les Paul Custom Special Electric Guitar, with Ebony Brown Shell Pickguard . A guitar so new I can't even locate a photo of the whole guitar to use here. This is another great, all new guitar for sale at a very low price. These go for just $699 dollars. The Les Paul Custom Special features a nitrocellulose finish, with Gibson's new nitro light gloss for the body and a nitro satin finish for the neck. The neck is glued in and made of one piece of solid maple, with a slim-taper profile, topped with a genuine one-piece rosewood fingerboard. 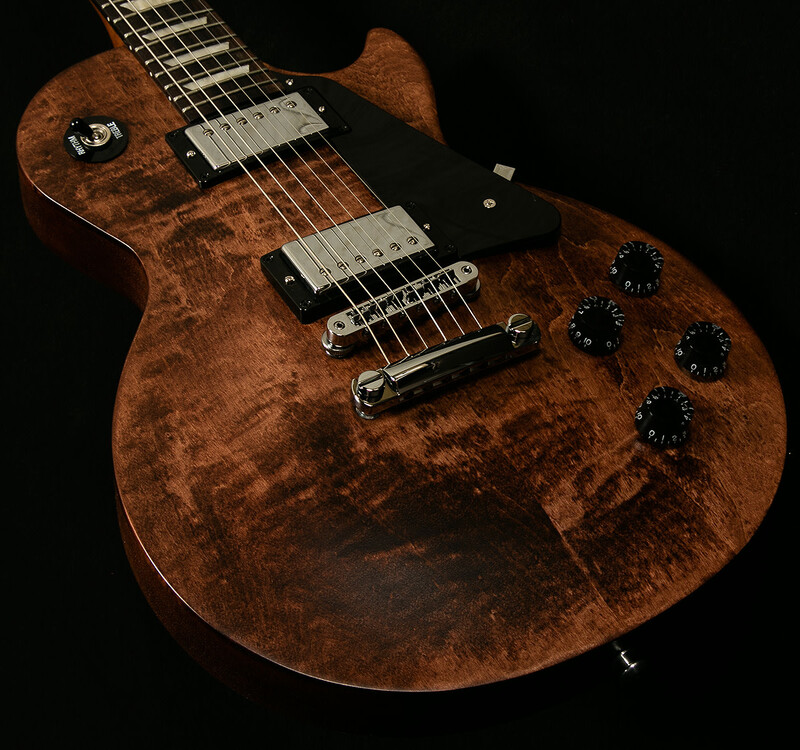 The body is crafted from solid mahogany for classic Gibson tones, and the guitar is loaded with completely new, modern, made-in-USA, Double Slugs Rhythm DS-C and Lead DS-C+ humbuckers with chrome covers. This guitar was made to get a young or otherwise not so affluent player an affordable guitar which can last a lifetime. For a beginner's price range this is a very professional instrument. What is missing here is the maple top. So the guitar is very comparable to a Gibson SG for its having an all mahogany body. This guitar is also available in cherry red. I'm sorry to report that at this time I also can not locate a video presentation for this guitar. It is just that new. Even Guitar Center and Musician's Friend don't have videos available as of yet. We do have specifications though. As much as I like the stripped down and single pickup, wraparound bridge/saddle/tailpiece of the Gibson Les Paul CM, the Les Paul Studio Faded T guitar doesn't cost much more at all, and offers more features. The Les Paul Studio Faded T guitar is a two humbucker model, and an out and out bang for bucks masterpiece. It just isn't important to me to have the traditional abalone inlay in the fingerboard of a Les Paul. The dot inlay is fine for fingerboard positioning markers.Some of the Les Paul Studio Faded T guitars do have the traditional LP abalone inlay positioning markers. I have not been able to find out what exactly the difference in price is for those. The body of this guitar is chambered for weight relief. The pickups are Gibson 490s These guitars are PLEK'd too. What is 'PLEK?' Typically reserved for top-dollar custom guitars, this process levels the frets with pinpoint precision, providing you with the most playable fretboard you're likely to own. Each note rings loud and clear, and the fret edges feel smooth as silk. The Gibson Les Paul Studio Faded T guitars come in more than just black. Brown ones seem to be the most common, but there is also cherry red. The 2017 guitars are already on the market. And the faded finish is meant to make the guitar look decades older than it actually is. These specific guitars are priced at $799 dollars. There is only a short list of features these guitars don't have which more expensive Les Paul versions do. You don't get body or neck binding and fancy figuring on the maple top. You don't get coil tapping or spits (same thing), and you don't get a hard shell case. Again, the new Gibson gig bags are quite good. In the 1950s the Gibson Les Paul was a flop of a product. The Les Paul guitars of the 1950s were much too heavy and much too expensive. Especially when you compared them to Fender guitars. Well, by the mid 1960s the British Invasion guitarist started playing Gibson Les Paul guitars and then everyone in the world wanted to own one. The Gibson Les Paul Studio '50s Tribute 2016, Traditional - Satin Gold Top, represents a combination of very traditional Les Paul attributes mixed with some modern details to make it more palatable to more people. The guitar is chambered so as to not be so heavy, and this guitar is less expensive than Fender USA Strats or Teles. This guitar looks very similar to the earliest production model Gibson LPs. The great bluesman Freddie King was playing one much the same. I feel conflicted putting this guitar in this article because these are currently marked at $899 dollars on amazon, but they were priced at fourteen hundred dollars. Whether, if, or when the prices will go back up I do not and probably won't know. As a 50s era LP this guitar has the fat neck and thick slab of rosewood for its fretboard that are period correct. The 50s era LPs had fatter necks and bigger frets than were used in the 1960s. A historically correct neck width and Graph Tech nut make for a familiar feel with enhanced sustain. A pair of 490R (neck) and hotter 498T (bridge) pickups showcases the full power of alnico magnets recreating faithfully the experience of the original Patent Applied For humbuckers of the day.